So how does Glow compare to others? Glow uses namespaced code similar to the Yahoo! User Interface Library. It is generally well thought out and logical, although it can lead to slightly verbose statements. One major positive point is the Glow documentation — it’s excellent and contains plenty of example code snippets and demonstrations. But does Glow offer any compelling reasons to switch from your current library? It’s unlikely; not unless you’ve experienced significant problems or require the same level of browser support implemented by the BBC. Overall, I like Glow. It’s well documented, has been extensively tested, and is possibly a little easier to understand than jQuery. That’s a good thing because, as a British resident, my TV licence fee has paid for Glow. I am therefore able to accept any donations you want to make toward further development of the library! 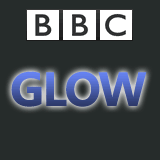 For more information, refer to the BBC Glow home page.